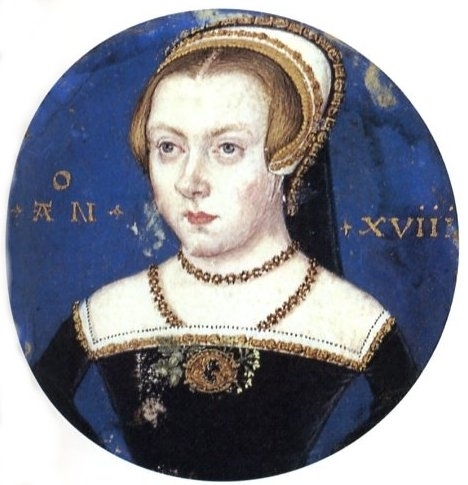 Lady Jane Grey was queen for only nine days yet many do not consider her queen because she did not have a coronation – however, Edward Plantagenet (son of Edward IV) was given the title of Edward V even though he did not have a coronation. So why don’t we refer to Jane as Queen Jane I of England? Both monarchs “reigned” for a very short period of time before they died. Edward’s death is a mystery while Jane’s death was ordered by Queen Mary I after she had no choice but to execute her “rival”. 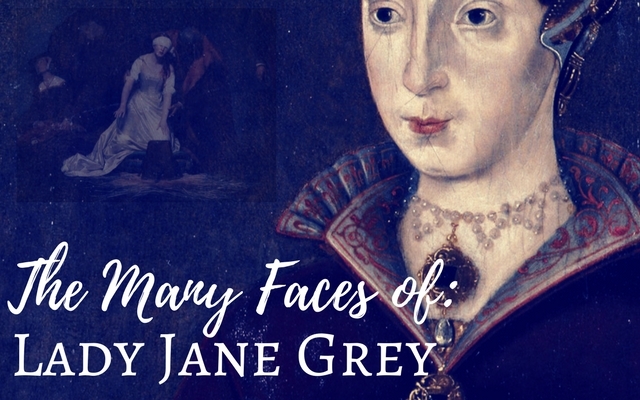 In this article we focus on what Jane Grey looked like and which of the portraits available to us may closest resembles the “Nine Day Queen” we’ve been described. Of the above images, which do you believe resembles Jane the best from the description given? 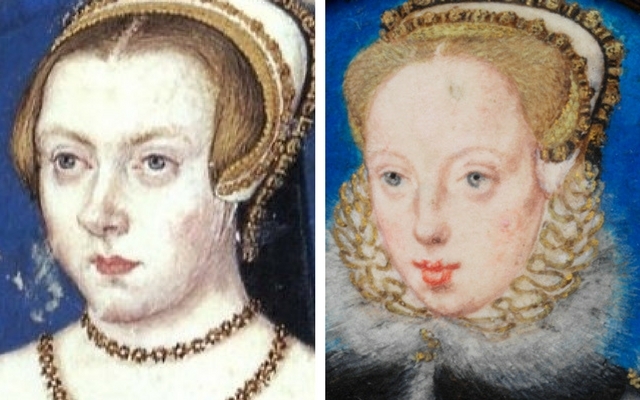 Next, let’s compare the images of Jane with her sisters, Catherine and Mary. I picked the one I believed has the most similar features – you may believe otherwise and that is okay. In 2007, Historian David Starkey believed he identified the only contemporary image of Lady Jane Grey. Dr. Starkey, a Tudor specialist, claimed that he was “90 per cent certain” that he had succeeded in identifying the first contemporary portrait of Jane Grey, the pious Protestant pawn who was queen for nine days in 1553 before being beheaded at the Tower of London. The portrait, less than two inches in diameter, belongs to an American collection and is known to date from the mid-16th century. 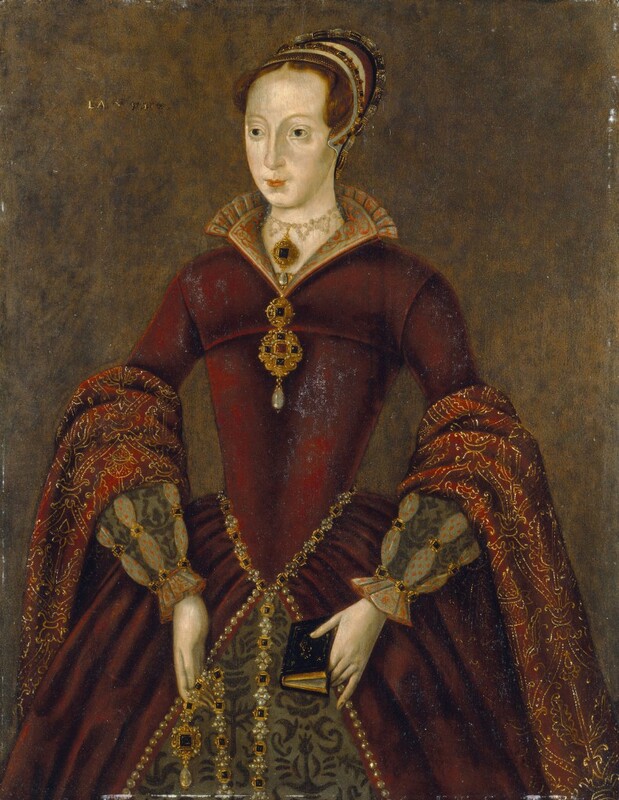 The sitter has never before been named, but Dr Starkey said that he had identified her as Jane Grey from a brooch on her dress and a highly symbolic jewellery spray of foliage behind it, linking her to her husband. Here is another portrait of Jane’s sister Catherine Grey that I’ve put next to the image that Startkey identified – do you see similarities? Lastly, we’ll look at the most commonly used image of Jane, the Streatham” portrait from the 1590s is believed to be a later copy of a contemporary portrait of Lady Jane Grey. From the first description, this one does seem to cover all the bases: “small features, a well-made nose, the mouth flexible, lips red, eyebrows arched and darker than her hair, which is nearly red. Her eyes are sparkling and reddish brown in colour.” Would you agree that this would be the most likely portrait of Jane Grey? We may never know for certain what many of the Tudor figures looked like – paintings are not pictures and contemporary accounts of these people are by people. Beauty is in the eye of the beholder, right? With all this being said, from the description of Jane at the beginning of the piece and comparison with her sisters I still believe the Streatham portrait is most likely the only true image we have of Jane. Thanks to all of those who have made donations in the past – because of people like you I wouldn’t be able to continue updating my website with articles, purchase new research material, continually post on Facebook and write, record and edit a podcast. If you’d like to become on of my best friends in the whole world and make either a monthly or one-time donation you can do so either through Patreon (monthly) or through a secure PayPal link where you don’t have to have a PayPal account. The sensibility of the English were very much in favor of the Kings Daughter by his first wife whom the church had blessed. 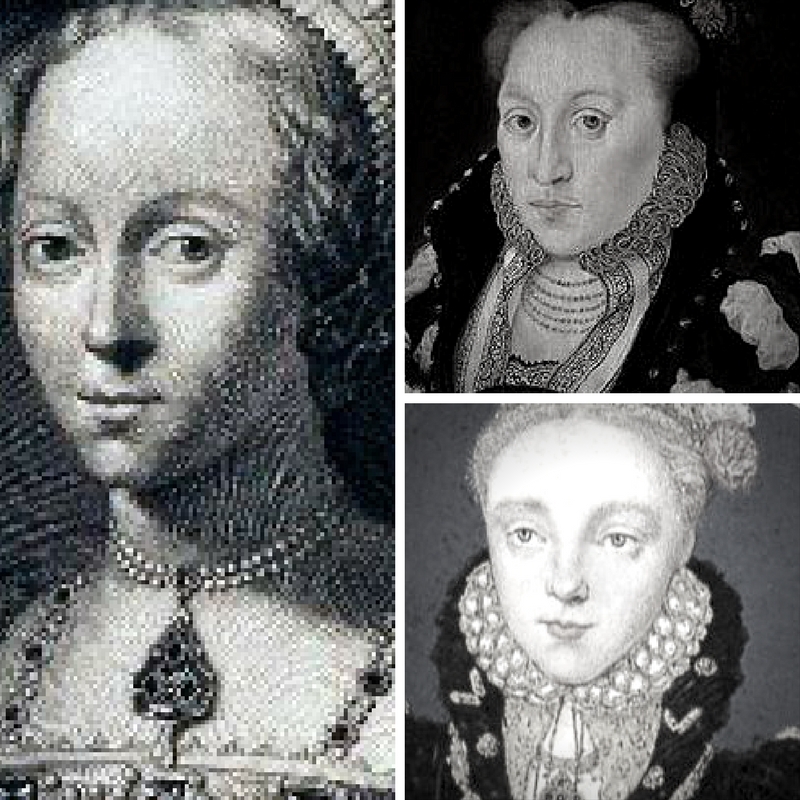 They remained loyal to the Spanish Queen and her daughter even though the Man in Charge Edward VI had named Jane Grey his heir. I understand that Jane was used and misused by her father in law and pushed to take the Crown as the King had wished for his first cousin….but to say Mary had no choice but to murder her cousin seems very inhuman and that sounds like the Church and Inquisition – THINK. Mary could have sent her to France or Germany or a nunnery. YES? 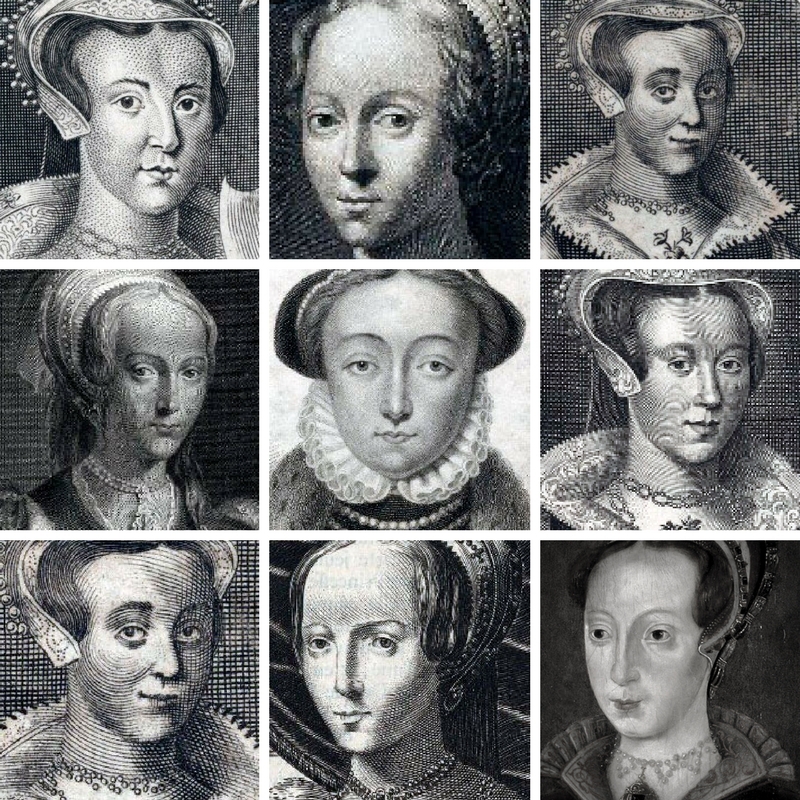 I am sorry to tell you the Spinola description of Jane is a fake as I revealed in The Sisters Who would be Queen ( a biog about Jane and her sisters) and revealed more in Tudor The Family Story. I discuss it in episode 3 of BBC 4 England’s Forgottoen Queen. Sad it isn’t true! Oh no!! I’ll have to find that and share the link in the article. Thanks for the heads up! The engraving by Van Passe is being challenged by the Jane Grey specialist Dr Edwards. He believes it’s just a copy of the portrait of Katherine Parr in the NPG. Which one is the engraving by VanPasse? The one Starkey identified is too heavy boned to be the dainty, light, small Jane. Plus she us older. I agree the Streatham portrait is most likely Jane.